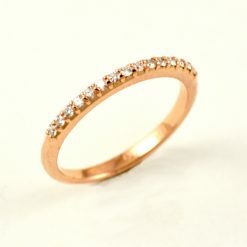 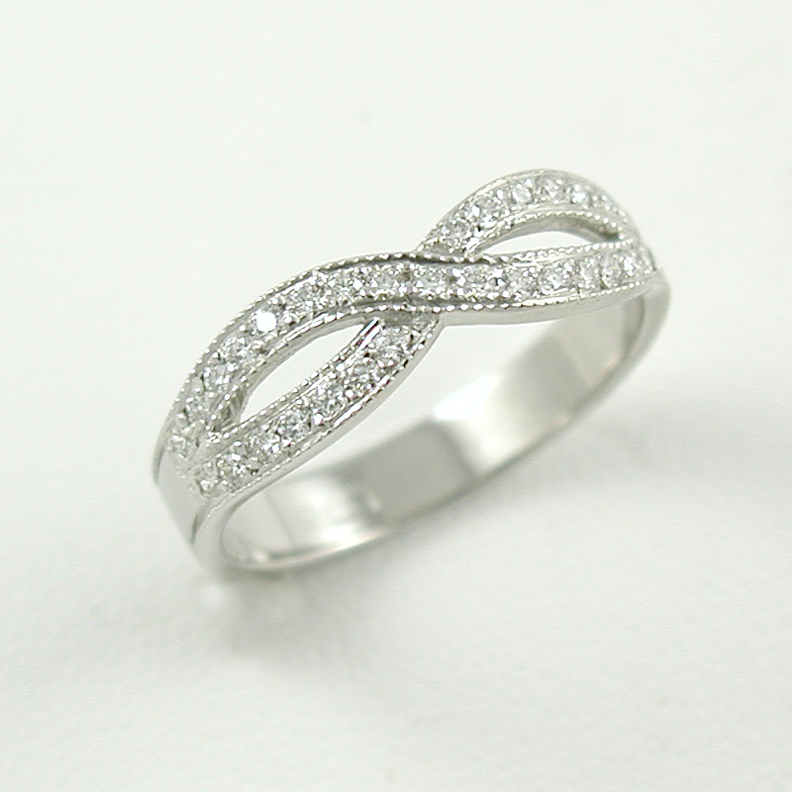 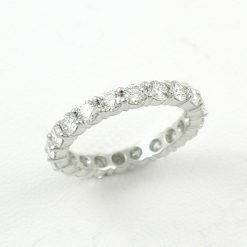 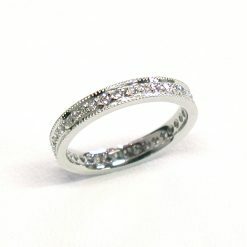 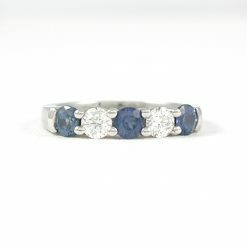 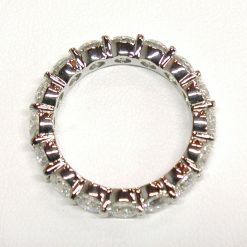 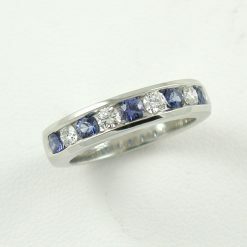 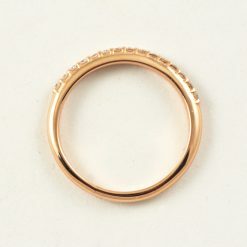 Laura - Leber Jeweler Inc.
A gorgeous crossover milgrain band to wear alone or to accent an engagement ring. 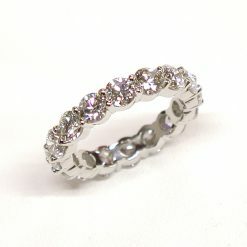 One-third carat total weight G-H color, VS clarity Canadian diamonds pav� set. 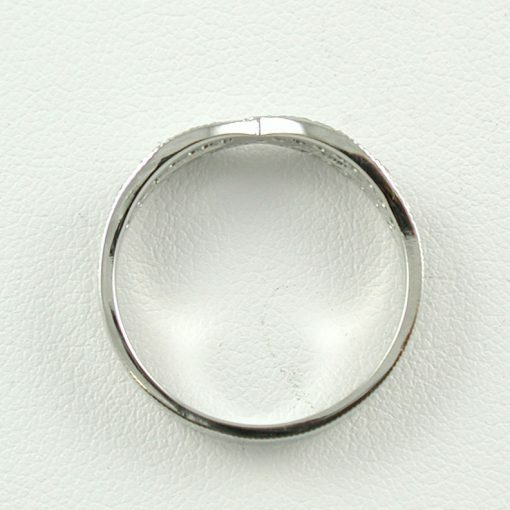 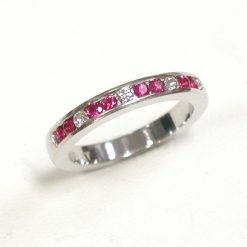 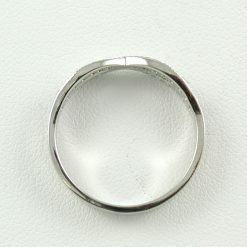 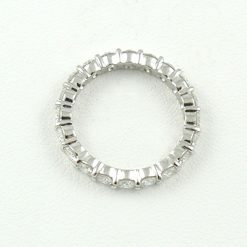 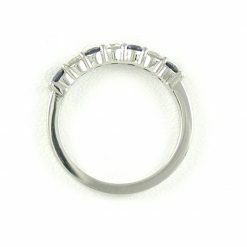 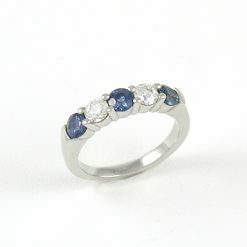 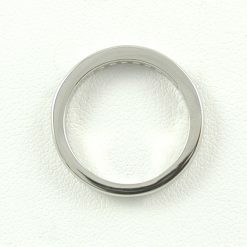 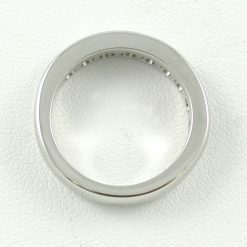 Measures approximately 5.8 mm on top tapering to 3.5 mm at the base of the shank. 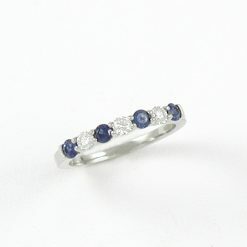 Like the perky New Rochelle Capri-wearing, dancing, Laura— classic and beautiful.